Dan Martin (UAE Team Emirates) has won the fifth stage of the Criterium du Dauphine. A late attack gave the Irishman the stage victory while Geraint Thomas took the leader's jersey. The sixth day of the Dauphine featured a 130.5-kilometre route between Grenoble and Valmorel that included two climbs of the second category and a mountain finish on an Hors Category ascent. 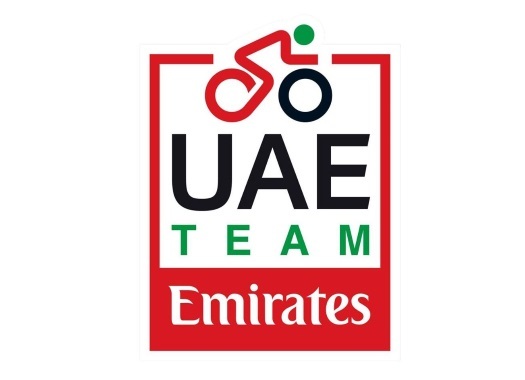 Early attacks allowed nine riders to escape from the peloton: Dario Cataldo (Astana), Edward Ravasi (UAE Team Emirates), Thomas De Gendt (Lotto-Soudal), Nicolas Edet (Cofidis), Laurens De Plus (Quick-Step Floors), Bruno Armirail (Groupama-FDJ), Matteo Fabbro (Trek-Segafredo) and Carlos Verona (Mitchelton-Scott). Cataldo was the first one to drop from the front group while Team Sky and Bora-hansgrohe took control of the speed in the peloton. The last climb of the day took a toll on the front group and only Ravasi, Edet and De Plus managed to hold the pace while the others got reeled back in by the pack. At eight kilometres to go, Edet attacked from the front and was soon joined by De Plus. The two men continued together for a couple of kilometres until they were caught by the reduced peloton at six kilometres from the finish line. With a bit more than five kilometres remaining, Movistar's Marc Soler attacked and was followed by Geraint Thomas (Sky), Adam Yates (Mitchelton-Scott) and Dan Martin (UAE Team Emirates), among others, while race leader Gianni Moscon stayed at the back of the peloton. A kilometre later, Martin accelerated and left the rest of the group behind. At the last kilometre, Martin continued in front on his own while Thomas attacked from the reduced group, taking Romain Bardet (AG2R La Mondiale) at his wheel. The Frenchman couldn't hold the rhythm of the Sky rider and was soon dropped. Martin crossed the finish line on his own and four seconds later Thomas arrived as well, taking the GC lead. Yates was the third on the day.